A new method for selecting sentinel lymph nodes (SNs) in colorectal cancer tissue was investigated in 12 patients. 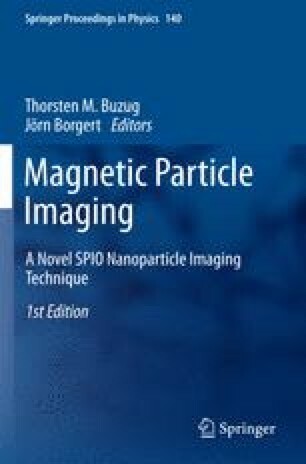 A tracer consisting of superparamagnetic ironoxide (SPIO) nanoparticles was injected in the resected tissue. A handheld magnetic probe was used to select SNs to which the SPIO was drained. Vibrating sample magnetometry was performed on the lymph nodes to quantify the amount of SPIO in the nodes. High-field MRI allowed to depict the distribution of SPIO in the node, and revealed small anatomical structures. One or more SPIO containing nodes were successfully selected with the magnetic probe in all 12 patients.